We invite you to visit our balanced, dynamic Educational Curriculum on the Death Penalty designed by the award-winning team at the Michigan State Communications Technology Laboratory in conjunction with the Death Penalty Information Center. For teachers, there is exclusive content available by signing up here. 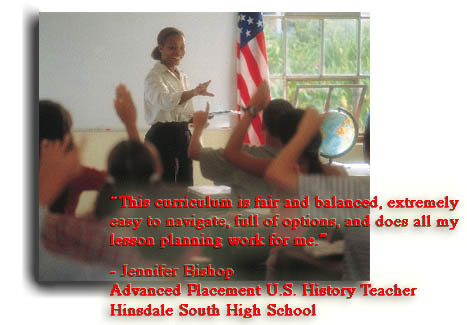 This includes flexible lesson plans, teacher overviews, and objectives meeting national educational standards. An iBook version of the curriculum for iPad is also available. This new format enables users to navigate through the content in a touch-screen environment. Even when students are not on-line they can use the full curriculum and have access to instant definitions of every word and easy note-taking functions. The e-book was recently featured on Scholastic.com's Tech Tools. 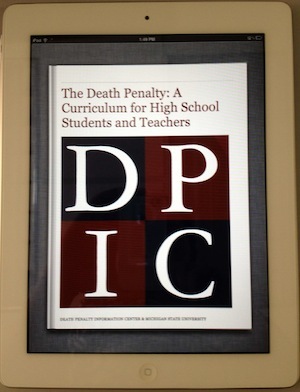 DPIC provides free training for educators on how to teach the subject of the death penalty. Training have been hosted in Alabama, Connecticut, the District of Columbia, Georgia, Indiana, Ohio, Oklahoma, Minnesota, Nevada, North Carolina, Pennsylvania, South Carolina, Texas and Washington. If your social studies council or professional association is interested in scheduling a Teacher Training Workshop, contact us here. DPIC provides a printable teacher's guide, flexible lesson plans, teacher overviews, and objectives meeting national educational standards. To access these exclusive materials, register for free here. Teachers may opt to receive timely updates on significant death penalty news and events for classroom discussion, and your email will never be shared or sold. 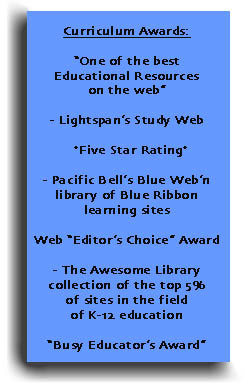 For more information about the TEACHER listserv or the curriculum, contact us. DPIC has prepared a full-color brochure for teachers and schools considering the use of the curriculum. 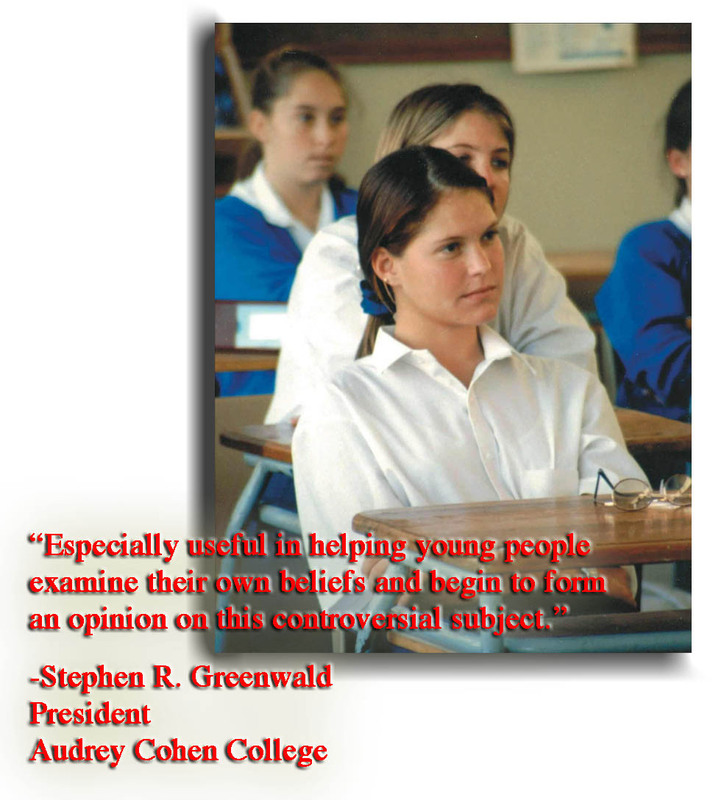 If you would like multiple copies of this free brochure for distribution to educators in your area, contact DPIC. A Teen Summit is a student participation event such as a mock legislative hearing, student debate, or town hall forum giving students the opportunity to interact with death penalty experts representing a broad spectrum of experiences and opinions on the issue. If you would like more information or assistance in developing a similar program in your area, please contact us. In 2008, DPIC held its first Professional Day for New York City high school teachers. The purpose of the workshop was to assist teachers in using Educational Curriculum on the Death Penalty in their classrooms. Sponsored by the Justice Resource Center and the Association of the Bar of the City of New York, this all-day seminar showed teachers the features of the curriculum and how to integrate outside resources, such as guest speakers and film into their lessons. For more information on the NYC Professional Day, visit here. To learn about having a professional day for your school district, please contact us. Visit our college curriculum, Capital Punishment in Context.